"Mozart Week," held each year in January, adds a cultural accent to the international concert program. Renowned Mozart performers, orchestras and ensembles can be heard during the week of the festival. Contemporary artists from the fields of music, dance, literature and visual arts deal with Mozart's life and work during the "Dialogs" event. Seasonal concerts featuring the "Young Artists" cycle are offered from October to June. The focus is on Mozart's legacy in Mozart's Birthplace and the Mozart Residence. Visitors are conducted through original rooms at Mozart's Birthplace displaying historic instruments, Mozart's violin and most of the portraits painted during his lifetime. 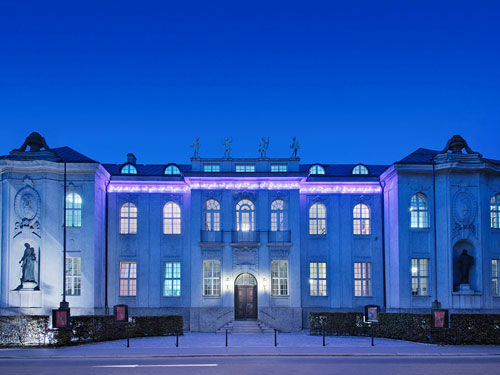 The three exhibitions, "A Day in the Life of a Child Prodigy," "Mozart at the Theater" and "The Mozarts - a Family Introduces Itself" were designed by the architect and cartoonist, Thomas Wizany. The Mozart Residence on Makart Square gives an authentic impression of everyday life in the 18th century. The biographies of the individual members of the Mozart family with all their joys, cares, passion and social activities fill the rooms with life. 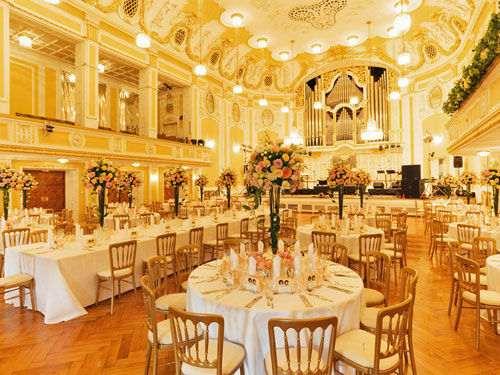 Most of the Mozarteum Foundation Salzburg concerts as well as the Salzburg Festival's Mozart matinees and soloist concerts are held in the 800-seat "Large Hall." Its outstanding acoustics provide the perfect setting for soloists, chamber music ensembles and large orchestras, performing classical music or entertainment music programs. 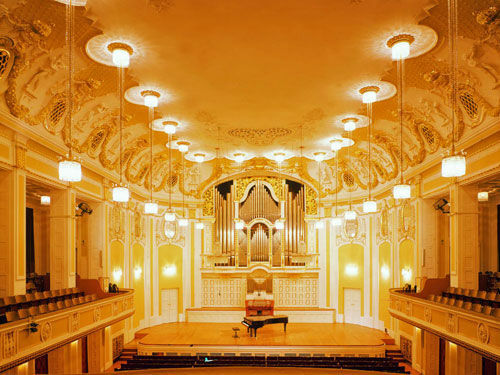 The smaller "Vienna Hall" is primarily a venue for chamber music concerts, offering seats for 200 visitors. Both concert halls – together with the infrastructure – can also be rented for events.